The rich velvety tones of Canada based singer Lhasa De Sela are a beautiful thing in themselves. When a backdrop of weeping guitars and mournful brass in styles from France and Spain are toyed with to form music that varies from childlike waltzes to Portishead like dub, you have something really special. Her unique upbringing (she spent most of her childhood touring around the States and Mexico in a converted school bus with her parents and sisters before settling in Canada) has given Lhasa a phenomenal range of influences to draw on. 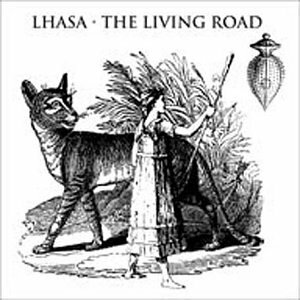 ‘The Living Road’ is a deeply passionate and theatrical album, suiting a dark winters night more that the blazing summer sun. It is also a very deeply satisfying listen.